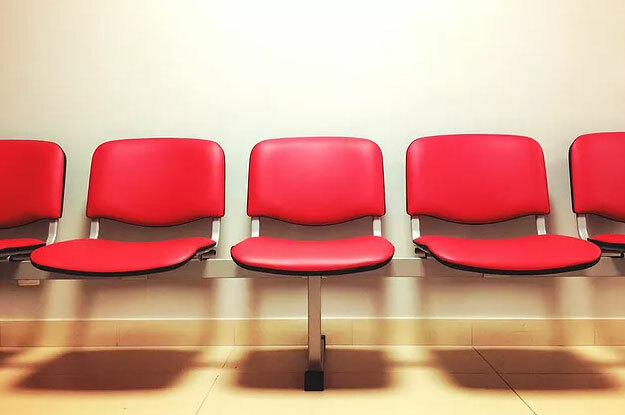 Often times many of us have experienced a sub par waiting room furniture experience. Have you ever felt antsy, uncomfortable, or just bored? You may have difficulty getting in and out of the chair. Many times, you’re sitting on the frame, because the foam has been worn over the years. This is the first experience your patients have with your office in person. It should be a pleasant and relaxing one. The fear of it being too expensive often comes to mind, and the fear of how do you choose which furniture and design will work the best. It does NOT have to be expensive. Hamilton Business Interiors is an Office and Healthcare Furniture Company, and we work with budgets of any size to ensure our clients are able to purchase the best solution. If you simply want a new look, reupholstering your chairs may be a good option, and it may be easier on your budget vs. purchasing brand new seating. Speaking to professionals like us, will help to guide you in the right direction. Leave the design to us. If you’re overwhelmed by what design, colors, style, or brand to choose for your waiting room furniture, we can certainly help. We are furniture professionals and will assist you in making the best choices for your waiting areas. We will look at your office, and your brand, and align the style with your existing look or create a new one. We also know a lot about ergonomic seating, and can educate you on the health benefits of each piece of furniture and why its important to accommodate patients of all ages. Providing your patients with a simple fix, like a comfortable chair, can change their entire experience. It can make the inevitable wait, a little more enjoyable. Contact us today to learn more about how to get a quote for your office. This entry was posted on Saturday, October 21st, 2017 at 4:38 pm. Both comments and pings are currently closed.